You love golf. You spare no cost when it comes to your equipment. Titanium drivers. Cavity-back irons. If it can save you strokes, it’s in your bag. Considering how much you invest in your clubs, shouldn’t you be doing everything you can to protect them? 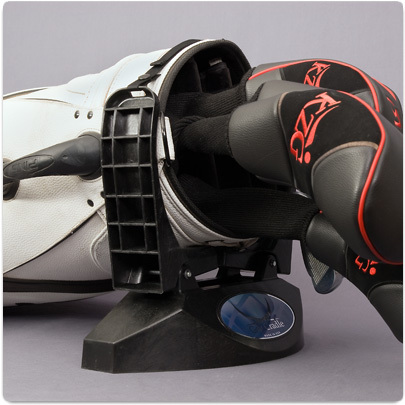 The Golf Cradle™ is a breakthrough golf club protector designed to safeguard your clubs as you transport them to and from the golf course. Once placed in the trunk of your car or back of your SUV, the Golf Cradle golf club protector elevates the open end of your bag and locks it in place to prevent your clubs from sliding as you drive, eliminating the chance of head and shaft damage. So, your valuable equipment performs its best—round after round. If you are a business and would like SC Golf to test, review, and feature your product, please email me at scgolf.info@gmail.com!